FERRARIO - [ Birds from Brazil ]. FERRARIO, G. - [ Birds from Brazil ]. [ Birds from Brazil ]. - FERRARIO, G.
Title : [ Birds from Brazil ].. 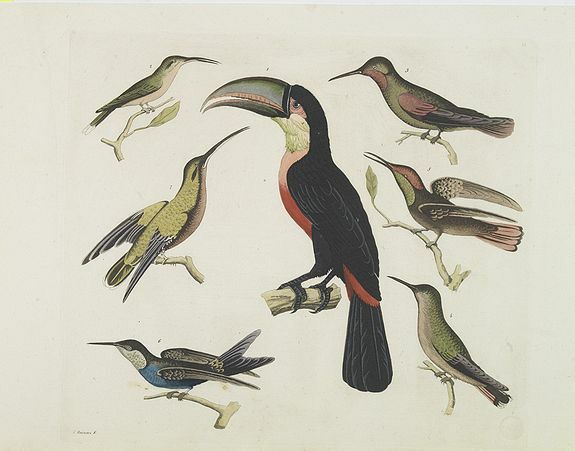 Description :Aquatint depicting 6 different species of birds from Brazil.